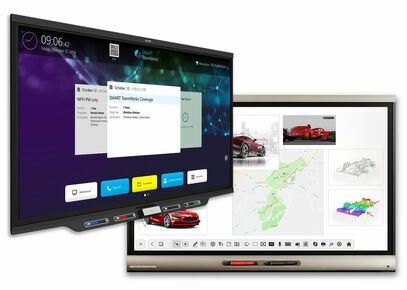 The SMART Board interactive display connects to your computer. With the touch of a finger, group members can interact with computer materials and their finger becomes the mouse. They can write with digital ink over any application and save their notes directly on the application files for easy distribution. They can wirelessly connect laptops and transfer control of the interactive display between users. Bundled with Meeting Pro software, your training, meeting, presentations and collaboration (including over distance) will never be the same again.With SMART Board people can collaborate in visual and interactive ways, whether they’re in the same room or in workspaces around the world. SMART Board are designed to streamline the exchange of information and boost productivity. They have been implemented by businesses in various industries, from architecture to manufacturing to telecommunications. The SMART Board 7000 Pro series with iQ is your digital hub for global collaboration, connecting remote teams on all sorts of devices. 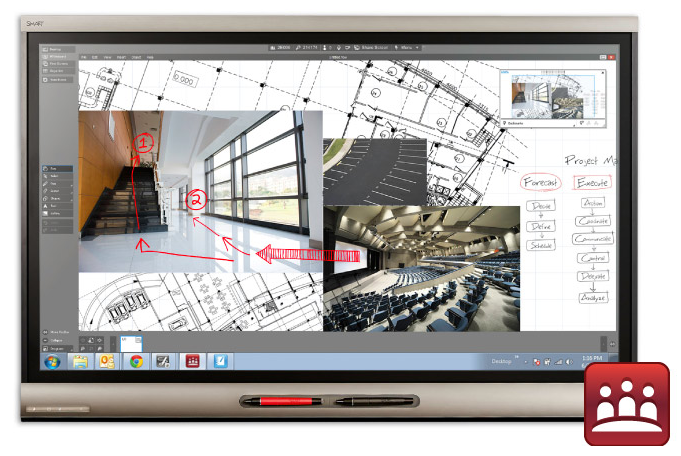 This powerful visual collaboration software allows users to create and capture ideas in the virtually unlimited interactive Unbound Workspace, as well as make notes over any available application. The new SMART Board 6000 Pro series with iQ increases productivity, while reducing meeting time by looping in more minds at once. Compact interactive pen display with touch that lets instructors add notes and illustrations to presentations while projecting to a large display.